Researched, tried and tested: Alpinestars' product development department draws on the experience of every professional athlete they support. It's with the athlete's help that they are constantly improving their products. The 2018 Techstar pants benefit from technical upgrades suggested by their riders, designed to improve comfort and performance. 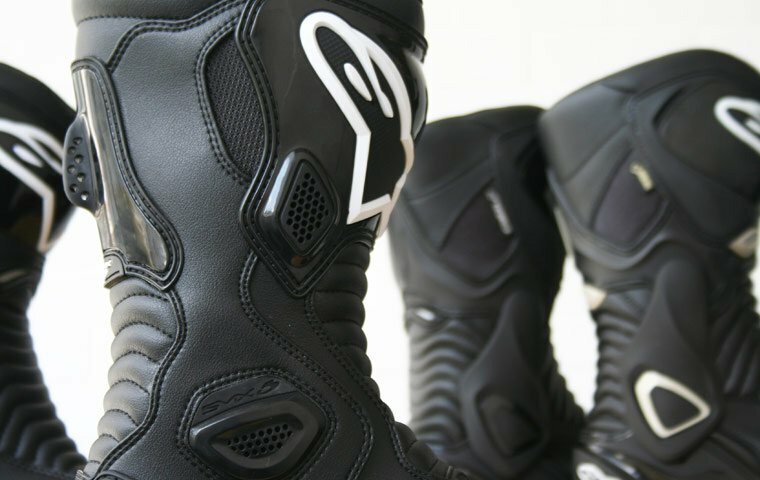 Alpinestars have revised the volume of material used in the pants to provide a more athletic fit. They have been designed to work with knee braces and there's a new ratchet waist closure for an adjustable and secure fitment. For championship winners: Alpinestars' Techstar range is their most premium quality motocross gear. On the track you'll see the likes of Eli Tomac and Justin Barcia racing to victory in the Techstar pants and jerseys! Motocross pants with real substance: The multi-panel construction has been PU coated for strength and durability. Reinforcements on the seat area as well as leather panels on the inner leg give these pants great heat and abrasion resistance. Keeping your cool: These Techstar motocross pants have localised perforation zones, allowing for cooling airflow. The removable hip pads have also been perforated for added breathability and comfort. The inner mesh liner is lightweight, ventilated and even has silicone webbing on the waist to keep the pants in position. Track performance with superior comfort: Innovative, strategically positioned four-way stretch panels give you freedom of movement and the best fit in the riding position. Exclusive to Alpinestars is the patented 'Vector' back panel, an area of stretch material that maximises the flexibility of the pants. The 'babel' knee design has been pre-bent and features 3D padding with a hidden stretch spandex expansion gusset. There's also a handy inner hip pocket, the perfect safe place for a key or coin storage.